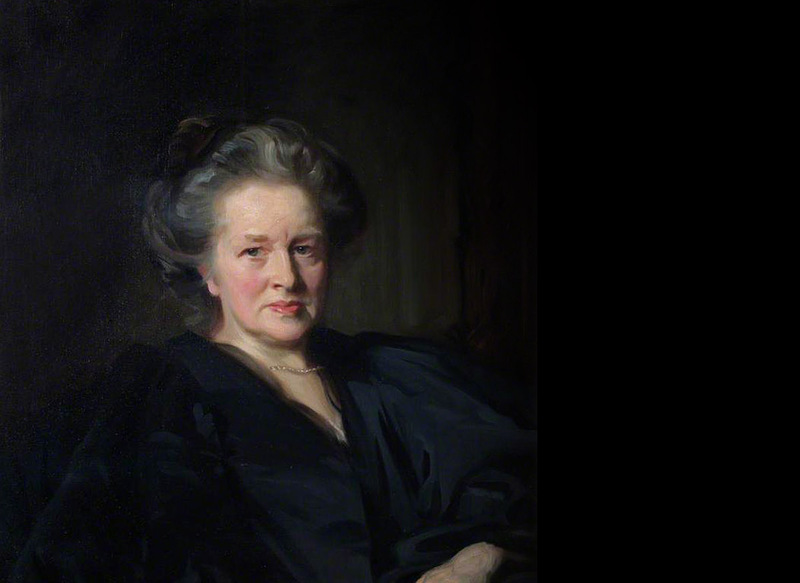 Elizabeth Garrett Anderson (1836-1917) was the first woman to qualify as a doctor in Britain, the first woman Dean of a Medical School, the first woman member of a school board, and the first woman to be elected Mayor. June 9th 1836 Elizabeth was born in Whitechapel, London, the second daughter of Newson Garrett (1812-1893), youngest brother of Richard Garrett III who inherited Leiston Works, and his wife, Louisa nee Dunnell (1813-1903). Newson was at the time running a pawnbroker’s shop owned by his father-in-law, John Dunnell, a native of Dunwich and landlord of the Beehive Inn in Marylebone. 1838 Newson and his family moved to a larger pawnbroker and silversmith’s shop in Long Acre, a more salubrious area than the east end of London. 1840 Newson bought Fennells corn and coal business at Snape Bridge and brought his family, now including two boys, Newson Dunnell and Edmund, back to Suffolk. settling in Aldeburgh at Uplands, a comfortable house opposite the church. The children spent a happy healthy childhood, being allowed to roam and mix with the local people. The boys had a tutor until they went away to school, while the girls were taught at home by a governess, Miss Edgworth. 1849 Louisa (Louie), the eldest daughter, and Elizabeth, were sent for two years to a boarding school in Blackheath run by the Misses Browning. Although the teaching was not rigorous, the French which had to be spoken at all times served Elizabeth well in the future, and the friends they made had a profound influence on their lives. 1851 On leaving school Louie and Elizabeth were allowed a short tour abroad, which included Paris, and were taken to visit the Great Exhibition in Hyde Park, where Garretts had a prominent stand, before returning to Aldeburgh to lead a life of young ladies at home. 1854 On a visit to her friend Jane Crowe in Gateshead, Elizabeth met Emily Davies, her lifelong friend and later the founder of Girton College, Cambridge. Together they shared an interest in opening up opportunities for women and Elizabeth began to consider the possibilities of studying medicine. She continued studying at home especially Latin and Mathematics under the wing of her brothers’ tutor. 1859 Elizabeth and Emily attended a lecture by Elizabeth Blackwell, an English woman who had qualified as a doctor in America and gave Elizabeth every encouragement to do the same in England. Her parents were horrified but eventually her father gave her daughter the support she needed and the financial backing necessary for her to achieve her ambition..
1860-65 Finding that no university or medical school in England would allow a woman to sit for their examinations she took advice and enrolled as a nurse at the Middlesex Hospital. She got permission to attend lectures with the medical students but when there were complaints from some of the students who resented her presence she was told that she was no longer welcome and she had to find another route. Discovering that the Society of Apothecaries offered a qualification enabling “persons” rather than “men” to practice as doctors she saw a possible way forward. After first attempting unsuccessfully to qualify in Scotland she returned to London where she managed to attend the courses and obtain the practical experience required to be allowed sit the exams of the Society of Apothecaries, which she passed with flying colours in September 1865. 1866 Elizabeth had first set up as a consultant for women and children but in 1866, recognising the need, she set up a dispensary for poor women charging a penny a time. At the same time she pursued one of her other interests, that of women’s suffrage, and was a member of the first Women’s Suffrage Committee, set up by members of a group of determined young women known as the Kensington Society. Elizabeth put her name to a petition to Parliament that women with certain qualifications should have the vote. Although this was unsuccessful it was the start of a long running campaign. 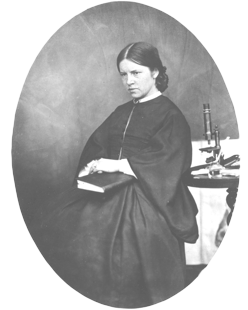 1866-70 She continued to study in hope of obtaining an MD (Doctor of Medicine) degree, and discovered that her best course would be to attempt the exams of the University of Paris, the Sorbonne. September: She was the first women to be elected the newly formed London School Board . December: Elizabeth became engaged to James Skelton Anderson, the financial adviser to the East London Hospital for Children, where she taken up an appointment. He had worked from an early age for his uncle’s shipping firm, Anderson, Anderson and Co (later to join with F. Green and Co. to form the Orient Line). 1871 February 9th Elizabeth and Skelton Anderson were married. !872 February: The new Hospital for Women was opened with 10 beds over the dispensary in Seymour St.
1874 The New Hospital had outgrown its premises and , financed by public subscription and fundraising, moved to two leased houses in Marylebone Rd. The London School of Medicine (later to become the Royal Free Hospital School of Medicine) was founded by Sophia Jex Blake. Elizabeth did not see eye to eye with her colleague and had misgivings, fearing that this would be a second class institution. Nevertheless she agreed to be on the Council and the School overcoming early difficulties, flourished. Elizabeth wasthe first woman to be elected to the British Medical Association; as a vote went against admitting any more women she remained the only female member for the following 19 years. 1875 December : Death of Margaret from tuberculosis, probably having been fed with milk from an infected cow. 1884 Elizabeth was appointed Dean of the London School of Medicine, the first woman dean of a medical school She held the post until 1902, working tirelessly for its all-female medical students. 1890 Having raised the money and bought a site in the Euston Road, Elizabeth’s committee were enabled to build a hospital of 40 beds, near the School of Medicine, to replace the by then overcrowded New Hospital for Women. This became the Elizabeth Garrett Anderson Hospital after her death and is now part of the UNISON trades union building, housing on the ground floor, a small gallery in memory of Elizabeth and her colleagues in the women’s movement, behind the facade of the original hospital entrance. 1902 Elizabeth and Skelton retired to West Hill, the house built for her by her father in Aldeburgh. 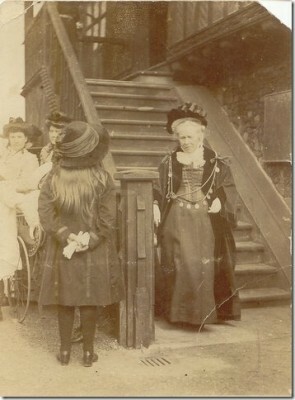 1903 Elizabeth was elected President of the East Anglian branch of the B.M.A. She and Skelton moved into Alde House on her mother’s death, though Elizabeth continued to attend council meetings in London and to keep her eye on the finances of the School and the New Hospital. In retirement Elizabeth cited gardening as her favourite recreation and Skelton played golf. 1906 Skelton was re-elected mayor of Aldeburgh, but died after a stroke the following year. In November 1907 Elizabeth was elected in his place, the first woman Mayor in the country. 1910 Always a suffragist she became more militant in support of her daughter Louisa, a doctor and militant suffragette, and was seen to be influenced by Mrs. Pankhurst’s views, joining her on marches. By December 1911 however, she realised that her heart lay rather with the more peaceful movement and she rejected the militant tactics. She had also begun to notice the worrying symptoms of “hardening of the arteries” or the dementia which was to dog her last years and she began to put her affairs in order. December 17th 1917 She died, and is buried in Aldeburgh churchyard.